• 16 pages & 39+ high-resolution grayscale images. The US Carbine, Caliber .30, M1 served as a lightweight semi-automatic carbine for the US Military from July 1942 ~ the 1960’s. The M2 (selective fire and fully automatic) and the M3 (active infrared scope system) are not covered in this Guide. In 1941, the Ordnance Department requested that US firearm companies and designers compete to develope a smaller and handier weapon for service troops such as truck drivers, medics, and paratroopers. The new .30 M1 cartridge was designed for an effective range of 300 yards using a round-nose 110 grain buller. Most agree that the effective combat range is about 200 yards. Although Winchester was awarded the initial contract in September 1941, the Inland Divison of General Motors turned out to be the largest producer of M1 Carbines. A total of over 6 million M1 Carbines were produced by several contractors such as IBM, Underwood Typewritter Company, and the Rock-Ola Jukebox Company. The most rare are the Irwin-Peterson models with just over 4,000 produced. At first glance, the M1 Carbine appears to be smaller version of the US M1 Garand rifle. 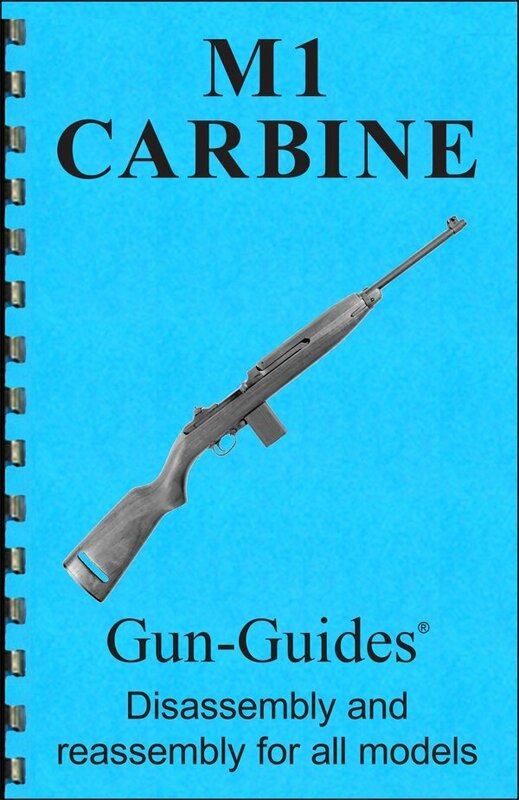 The M1 Carbine has a different gas system, trigger mechanism design, and is fed by a detachable magazine.